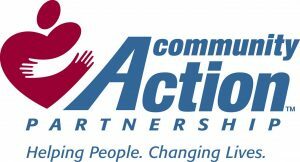 Tri-Valley Opportunity Council, Inc. | Home | Tri-Valley Opportunity Council, Inc. is a not-for-profit community action agency. Our work is also committed to strengthening our communities so that its citizens have better places to live, work, worship and enjoy. Welcome to Tri-Valley Opportunity Council, Inc.
Tri-Valley is a non-profit community action agency. We believe in the value of all human beings. It is that belief that drives our efforts to identify needs, seek resources and provide opportunities for people to thrive. Our work is also committed to strengthening our communities so that its citizens have better places to live, work, worship and enjoy. The mission of Tri-Valley Opportunity Council, Inc. is to provide opportunities to improve the quality of life for people and communities. We invite you to join us as we begin a new outreach initiative in our communities to show our leaders and neighbors what we accomplish here at Tri-Valley Opportunity Council.